Alcatraz, a small island in the bay of San Francisco. 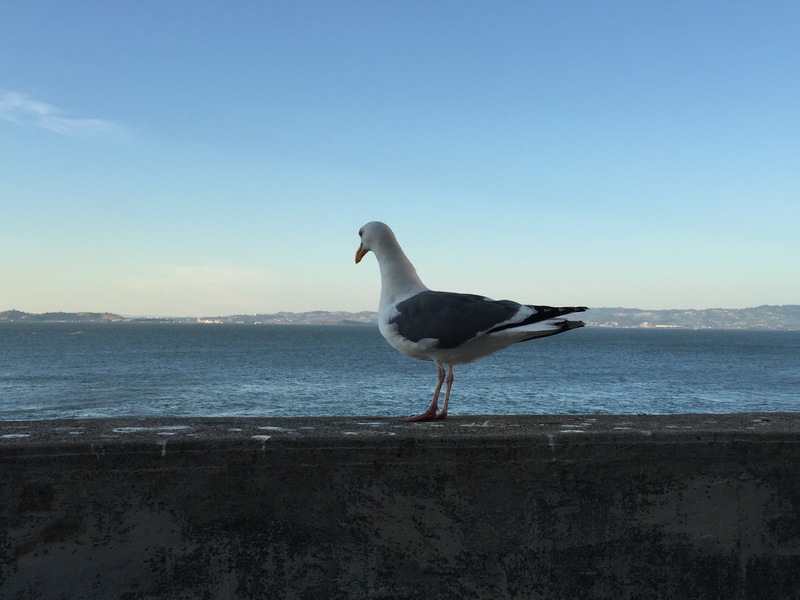 Famous for housing the nation’s first super max prison, dubbed “the Rock”, these 22 acres of cold stone and gulls nests are much more than pop culture would have you believing. 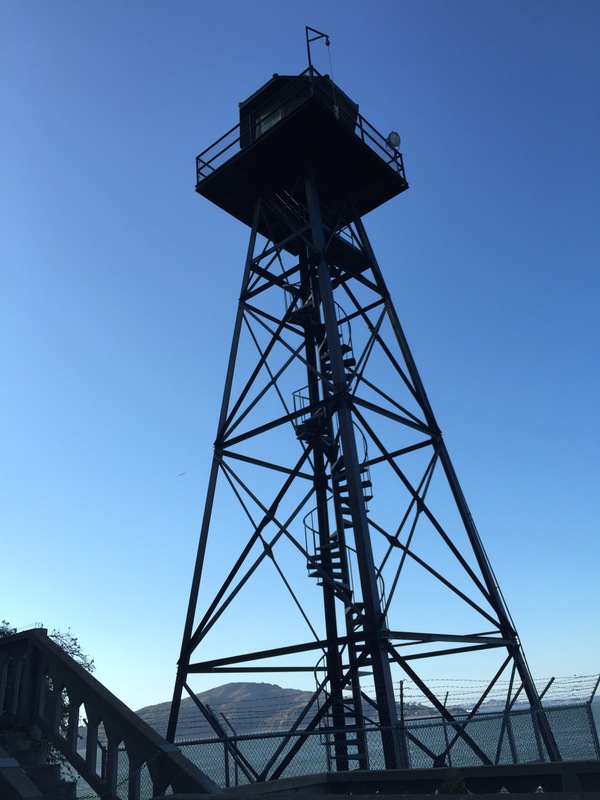 Established in 1847 as a defensive position after California bought it from the Spanish, Alcatraz saw the first steps of its transformation into the place it is today about 15 years later, at the start of the civil war. 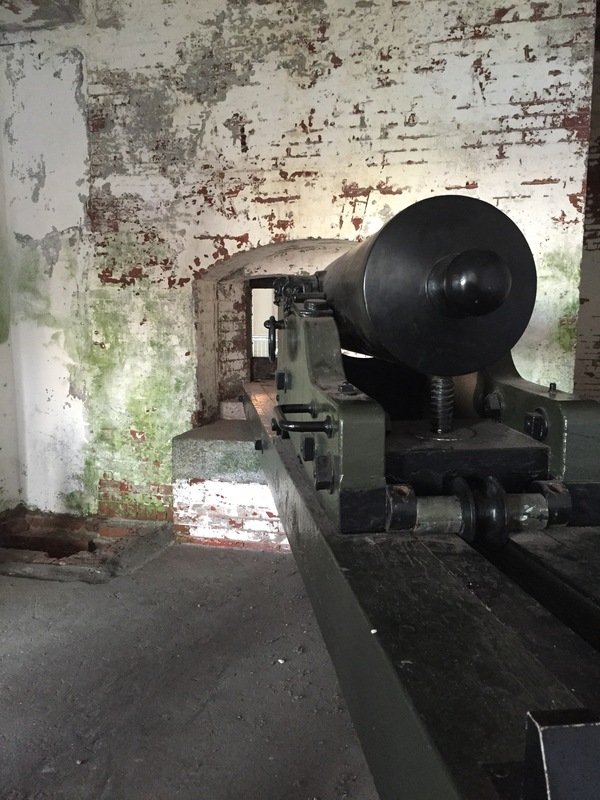 It was built up along with fort point, known as the guardian of the gate, and filled with high range cannons, thus a single building now stood on the island. Just a few years into the war, the south launched a foolish attempt to take the bay of San Francisco, one that the north caught wind of with plenty of time to prepare. 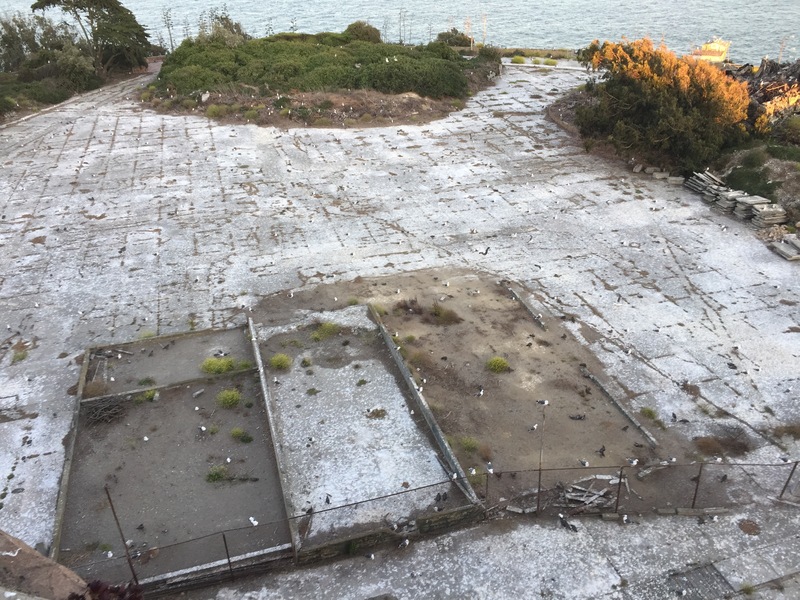 A single ship cruised around the point in the dead of night, hoping to sneak right in; unfortunately about a hundred cannons lay waiting to make them the very first prisoners of Alcatraz island. 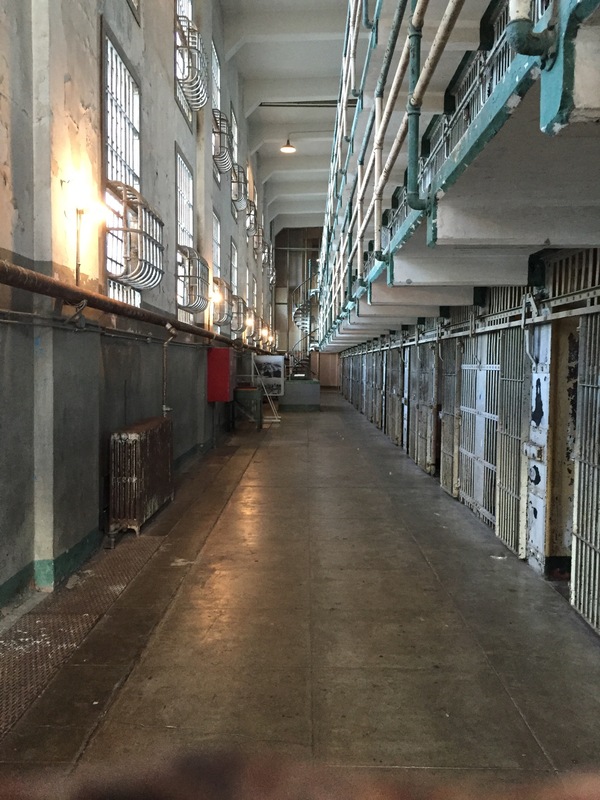 After that, Alcatraz went on as a sort of impromptu military prison for war criminals, eventually becoming a sort of correctional facility for the front lines. 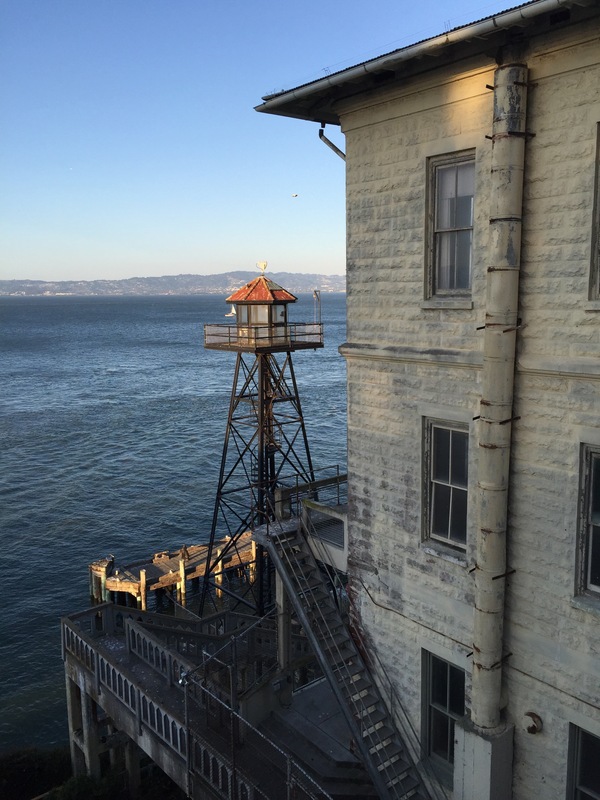 Men would come in from the Union army and spend all day breaking the hard stone dome that at the time, was Alcatraz. 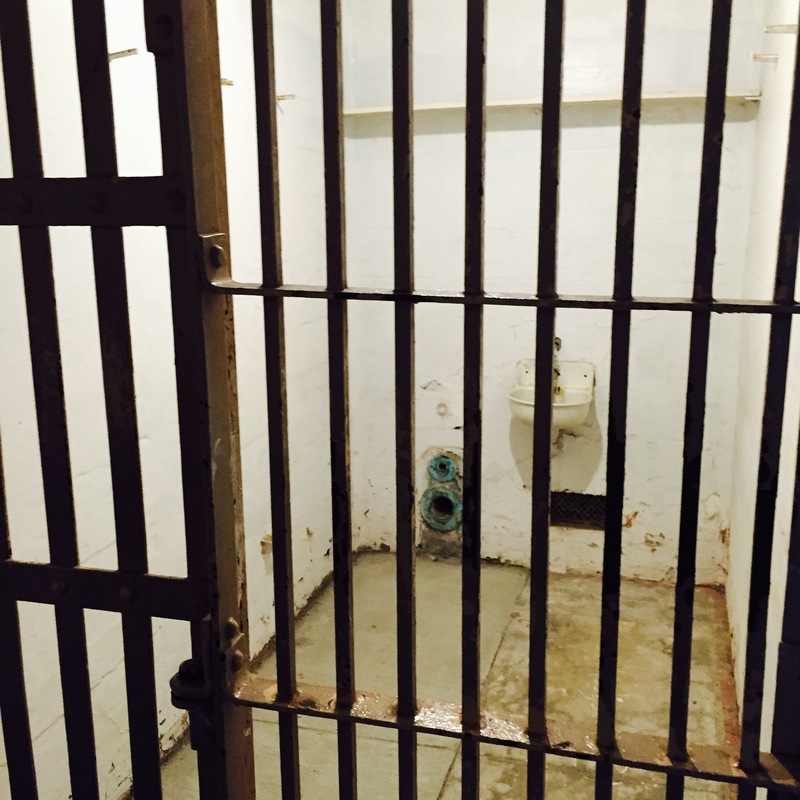 Then they would sleep in small 3 by 5 foot cells, accurately dubbed “sleeping cells”. 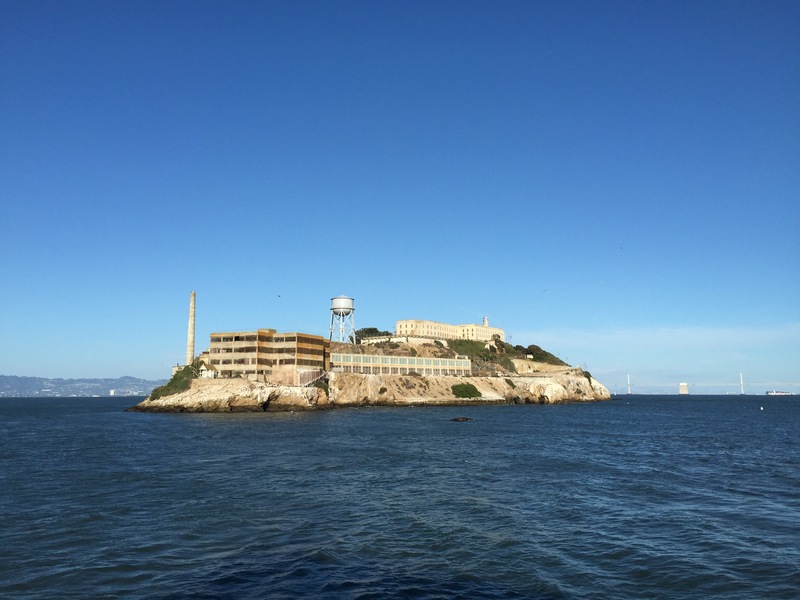 This is how the island got its nickname, “the rock”, and also popularizing the use of the phrase “breaking rocks”, Alcatraz became a major construction work, as the prisoners literally brought the land to the island to create it. 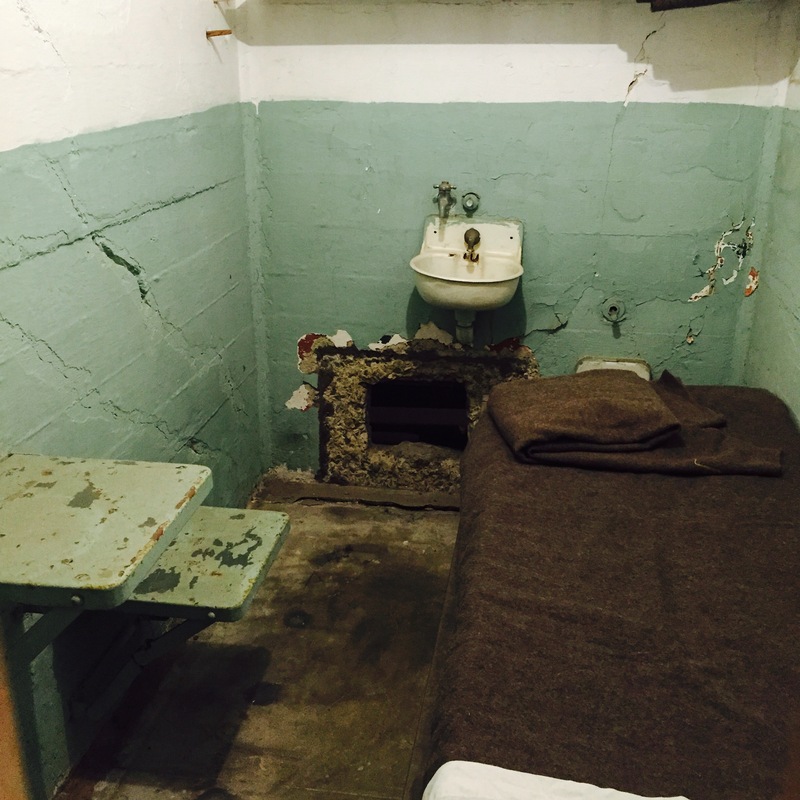 There was no dirt on Alcatraz before the military got there, no plants either, just a low hunk of rock. 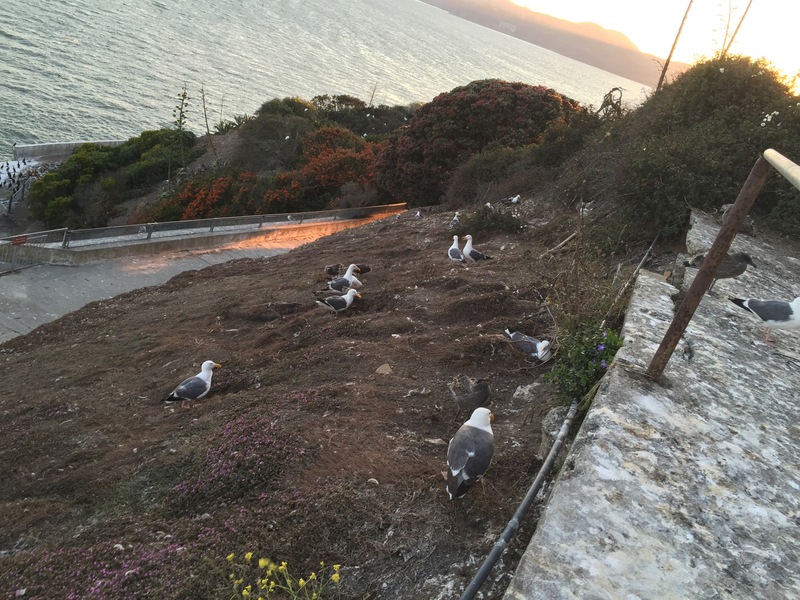 The military built almost all 22 acres by shipping over actual land from nearby angel island, and planting a forest of agave plants all around the base of the island; as it was deemed no advancing army could climb up the steep sides of the island through the spiny blades of the plants. Eventually though, the cost of maintaining the island grew too large, and one branch of the government relinquished the island, only to have it picked up by another: the department of justice. 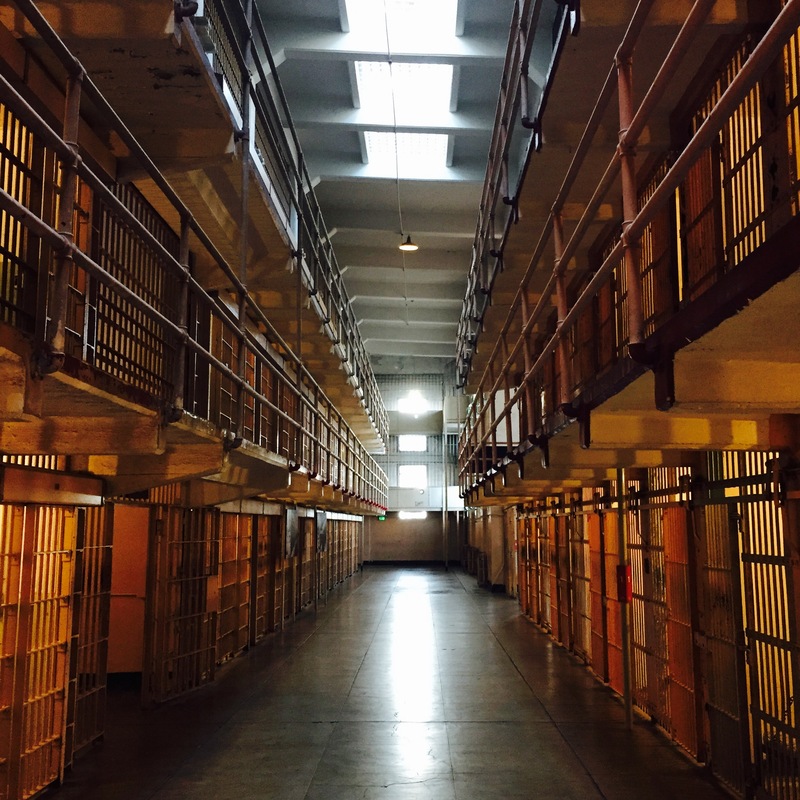 In 1933, the federal bureau of prisons acquired the island, and began turning it into the first super maximum security prison ever built. Alcatraz was the prison for prisoners, it was impossible to be sent Alcatraz by a judge, Alcatraz was somewhere you went if no other prison could contain you. 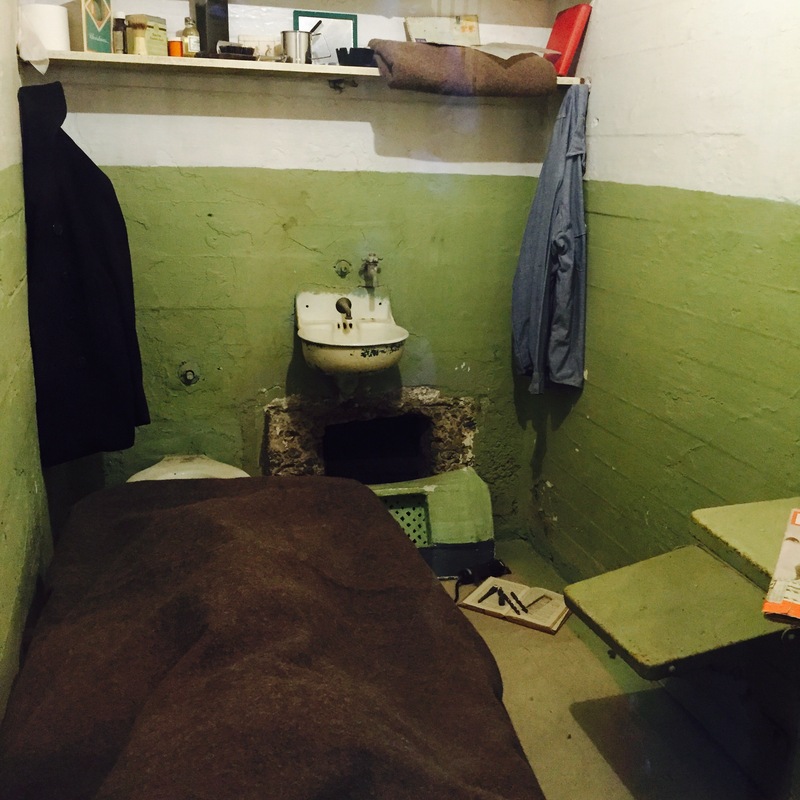 Prisoners who killed other inmates, assaulted guards, ran gangs from the inside, they were sent to Alcatraz from within the justice system. 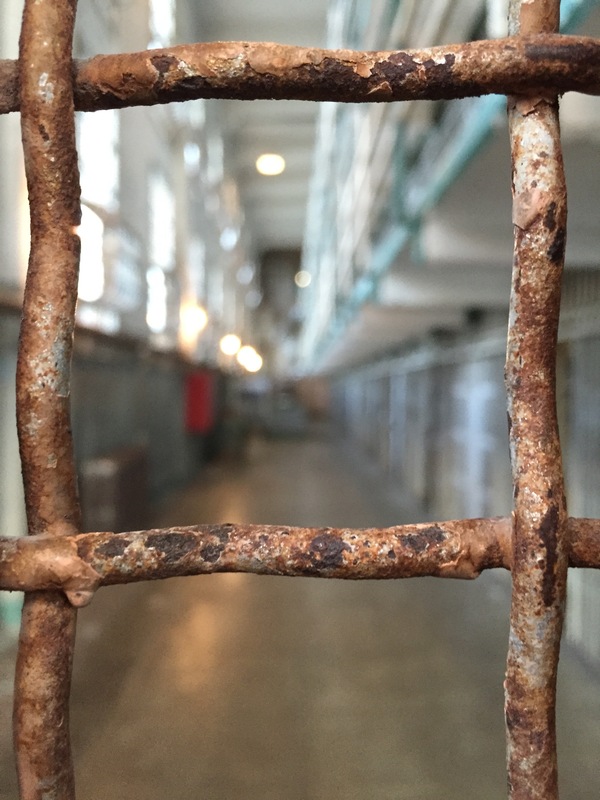 The idea was that in Alcatraz, inmates learned to be better prisoners, eventually earning their way off the island, and back to their previous penitentiaries. Those who didn’t learn, spent their lives confined to the cold concrete corridors of the Rock. On a side note, the island is also famous for being impossible to escape from. Surrounded on all sides by the frigid choppy waters of the bay, even if one could make it to the water, they would surely succumb to its unrelenting grasp. However, there are five prisoners who, to this day, remain unaccounted for; the most famous of those being Frank Morris and the Anglin brothers. Anyone who has seen the movie “Escape from Alcatraz” will know of the infamous Morris and his idea to tunnel out from the small grate beneath the sinks, and replace himself with a paper mâché version of his own head. Even though the heads were replicas, the hole he left is quite real, and was incredibly cool to actually see. 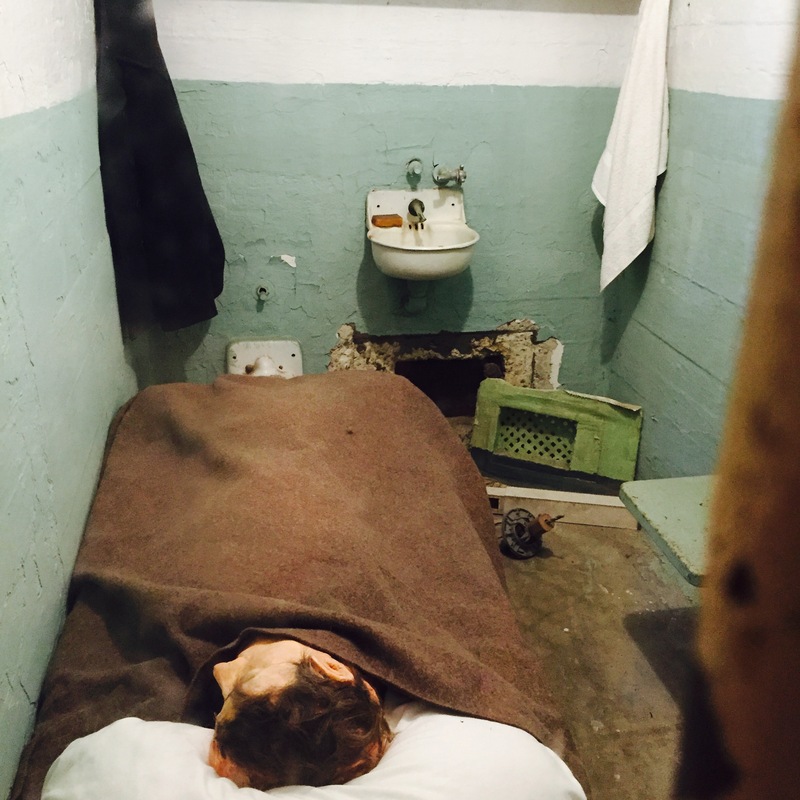 In 1963, however, the price of maintaining the prison was once again deemed too high, and it was shut down for good. 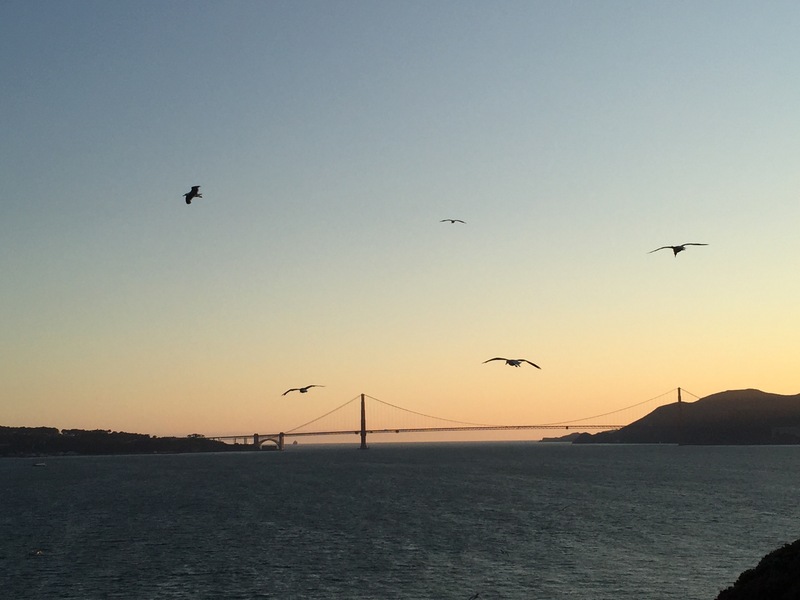 A short while later the island was picked up as a part of the Golden Gate National Recreation Area, and became the place it is today. Perhaps the most pervasive of the island, through all its incarnations, is that which gave it its name. 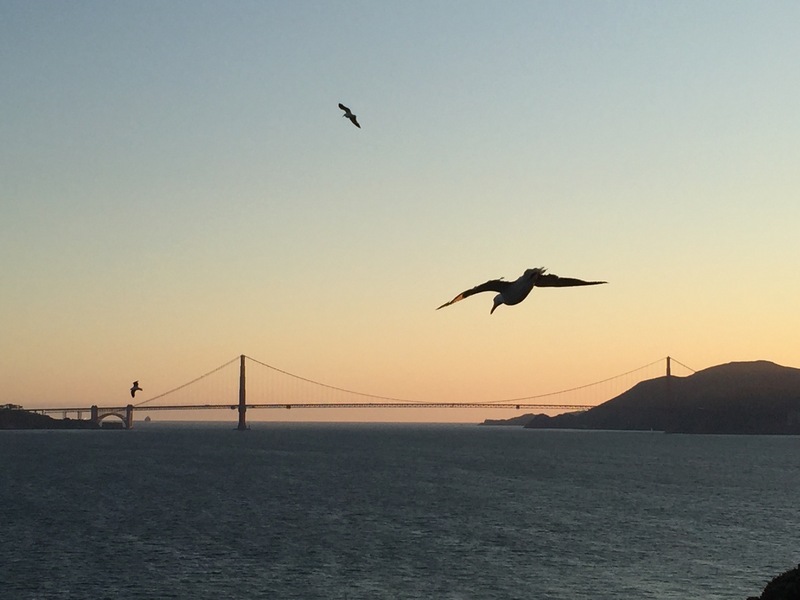 Coming from the Spanish “Alcatraces”, or Pelicans, the island of Alcatraz was initially named as such due to the truly absurd number of sea birds that call it home. Still to this day, it remains the largest haven for gulls I’ve ever seen, they’re literally everywhere. Lucky for us, it was nesting season when we arrived at the island, and we were warned not only to back away if we noticed birds hovering before us making lots of noise, but also in the case of two birds standing on top of each other making strange sounds, to simply pay it no mind. Thankfully I only encountered the former, even though I was almost dive bombed by about 20 birds as I went for a picture right above a cliff of nests, I prefer it to witnessing their version of “recreational activity.” It was a tad odd, dodging wandering fledglings and incoming feces alike, trying to see the place they once held people like Al Capone, felt a little like insult to injury, but maybe that’s just me. 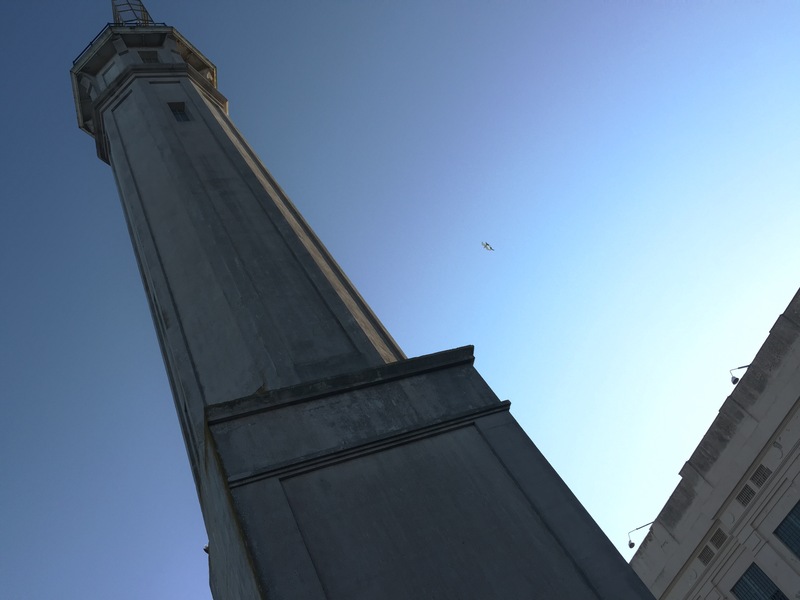 All in all Alcatraz is easily navigable to anyone who’s ever played Tony Hawk Pro Skater 4, just as cold and windy as you would expect, and for the most part the crumbling bits are roped off. The sea birds were a bit overwhelming, but the views, and the history, more than make up for it.